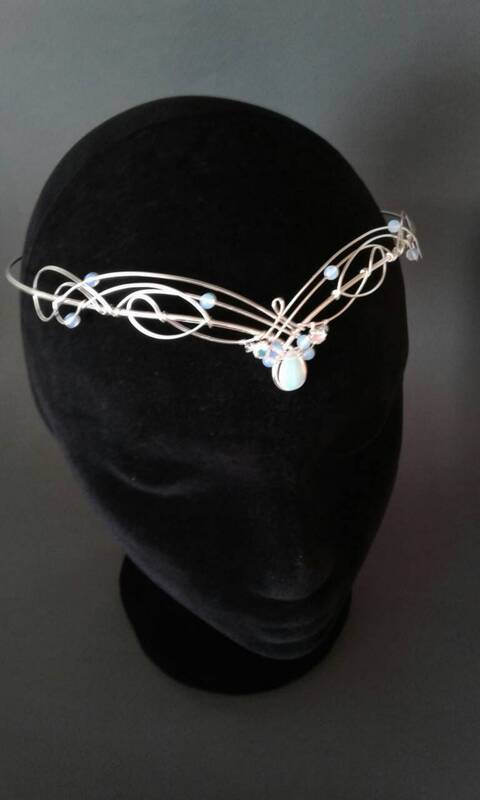 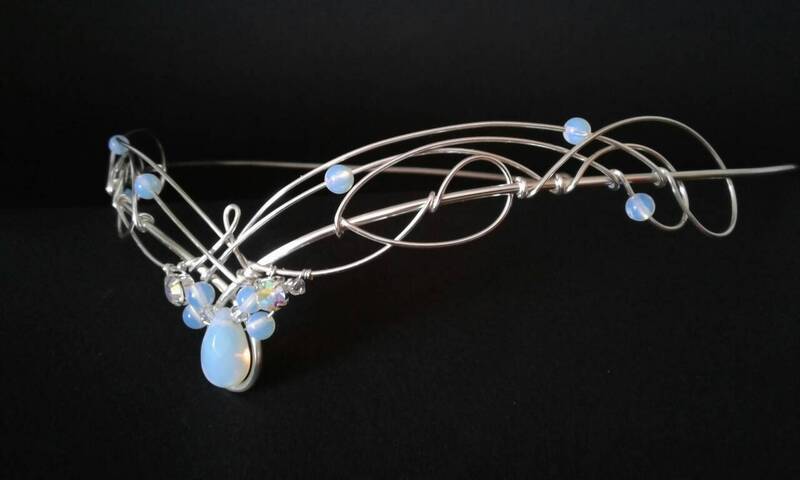 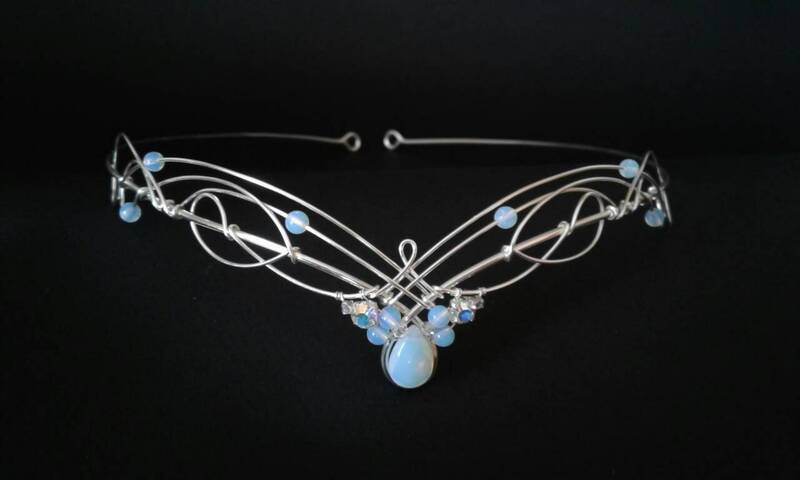 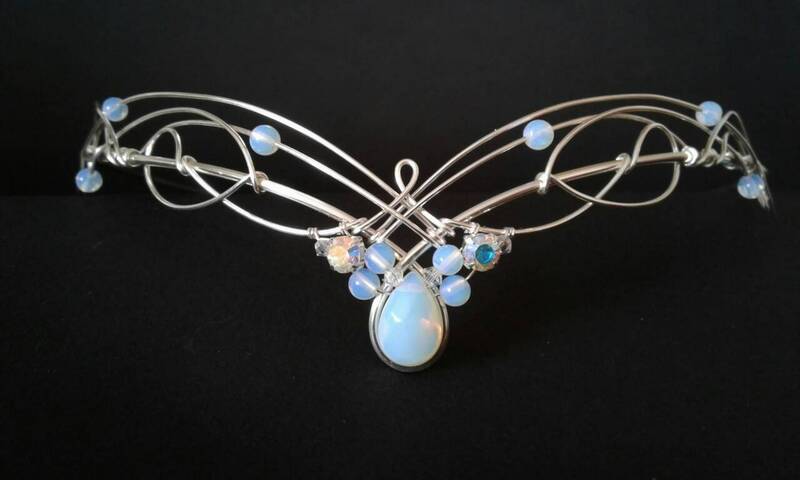 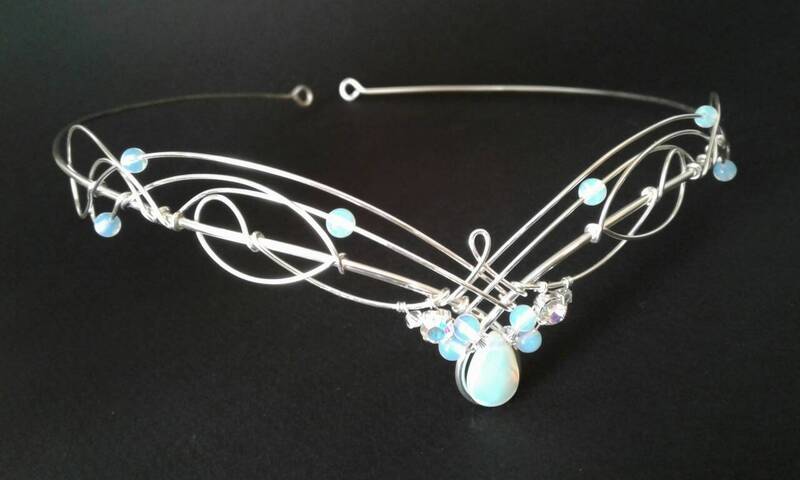 Beautiful and unusual opalite moonstone, aurora borelalis diamante & Swarovski crystal wedding circlet. 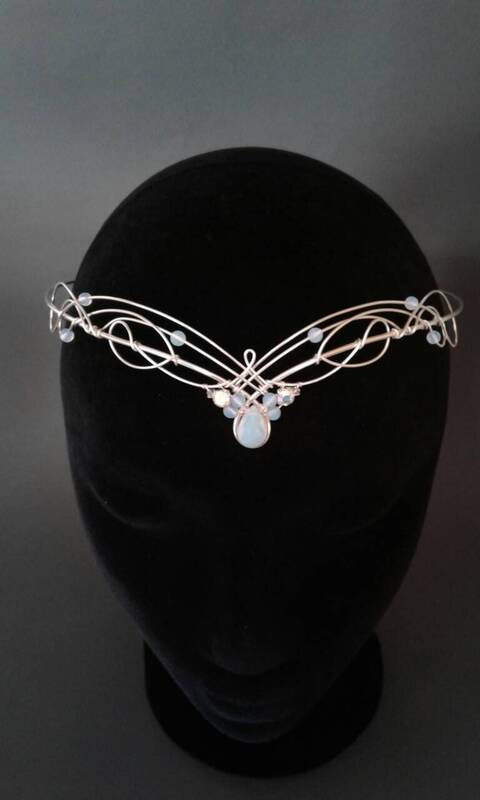 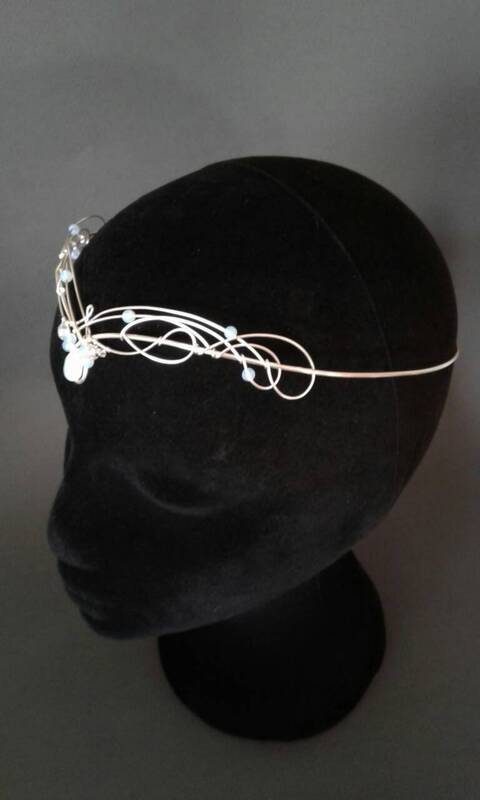 Designed to be worn on the forehead or hairline, the circlet should be pinned into place. 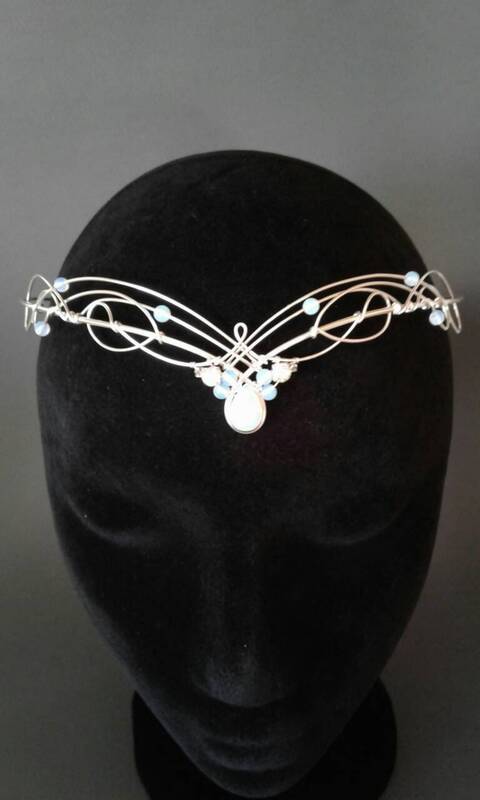 The circlet measures 17.5cms (7 inches) across , 3cms (1 and a quarter incj) in height at the centre and is 50.5cms (20 inches) in circumference.